For the Tokyo trials, see International Military Tribunal for the Far East. For the 1947 Soviet film about the trials, see Nuremberg Trials (film). Coordinates: 49°27.2603′N 11°02.9103′E﻿ / ﻿49.4543383°N 11.0485050°E﻿ / 49.4543383; 11.0485050 The Nuremberg trials (German: Die Nürnberger Prozesse) were a series of military tribunals held by the Allied forces under international law and the laws of war after World War II. The trials were most notable for the prosecution of prominent members of the political, military, judicial and economic leadership of Nazi Germany, who planned, carried out, or otherwise participated in the Holocaust and other war crimes. The trials were held in the city of Nuremberg, Germany, and their decisions marked a turning point between classical and contemporary international law. The first and best known of these trials was that of the major war criminals before the International Military Tribunal (IMT). It was described as "the greatest trial in history" by Sir Norman Birkett, one of the British judges who presided over them. Held between 20 November 1945 and 1 October 1946, the Tribunal was given the task of trying 24 of the most important political and military leaders of the Third Reich – though the proceeding against Martin Bormann was tried in absentia, while another defendant, Robert Ley, committed suicide within a week of the trial's commencement. Adolf Hitler, Wilhelm Burgdorf, Hans Krebs and Joseph Goebbels had all committed suicide in the spring of 1945 to avoid capture. Heinrich Himmler attempted to commit suicide, but was captured before he could succeed; he committed suicide one day after being arrested by British forces. Krebs and Burgdorf committed suicide two days after Hitler in the same place. Reinhard Heydrich had been assassinated by Czech partisans in 1942. Josef Terboven killed himself with dynamite in Norway in 1945. Adolf Eichmann fled to Argentina to avoid Allied capture, but was apprehended by Israel's intelligence service (Mossad) and hanged in 1962. Hermann Göring was sentenced to death, but committed suicide by consuming cyanide the night before his execution in defiance of his captors. Miklós Horthy appeared as a witness at the Ministries trial held in Nuremberg in 1948. This article primarily deals with the first trial, which was conducted by the IMT. Further trials of lesser war criminals were conducted under Control Council Law No. 10 at the U.S. Nuremberg Military Tribunal (NMT), which included the Doctors' trial and the Judges' Trial. There were, I suppose, three possible courses: to let the atrocities which had been committed go unpunished; to put the perpetrators to death or punish them by executive action; or to try them. Which was it to be? Was it possible to let such atrocities go unpunished? Could France, could Russia, could Holland, Belgium, Norway, Czechoslovakia, Poland or Yugoslavia be expected to consent to such a course? ... It will be remembered that after the First World War alleged criminals were handed over to be tried by Germany, and what a farce that was! The majority got off and such sentences as were inflicted were derisory and were soon remitted. A precedent for trying those accused of war crimes had been set at the end of World War I in the Leipzig War Crimes Trials held in May to July 1921 before the Reichsgericht (German Supreme Court) in Leipzig, although these had been on a very limited scale and largely regarded as ineffectual. At the beginning of 1940, the Polish government-in-exile asked the British and French governments to condemn the German invasion of their country. The British initially declined to do so; however, in April 1940, a joint declaration was issued by the British, French and Polish. Relatively bland because of Anglo-French reservations, it proclaimed the trio's "desire to make a formal and public protest to the conscience of the world against the action of the German government whom they must hold responsible for these crimes which cannot remain unpunished." Three-and-a-half years later, the stated intention to punish the Germans was much more trenchant. On 1 November 1943, the Soviet Union, the United Kingdom and the United States published their "Declaration on German Atrocities in Occupied Europe", which gave a "full warning" that, when the Nazis were defeated, the Allies would "pursue them to the uttermost ends of the earth ... in order that justice may be done. ... The above declaration is without prejudice to the case of the major war criminals whose offences have no particular geographical location and who will be punished by a joint decision of the Government of the Allies." This intention by the Allies to dispense justice was reiterated at the Yalta Conference and at Potsdam in 1945. British War Cabinet documents, released on 2 January 2006, showed that as early as December 1944 the Cabinet had discussed their policy for the punishment of the leading Nazis if captured. The British Prime Minister, Winston Churchill, had then advocated a policy of summary execution in some circumstances, with the use of an Act of Attainder to circumvent legal obstacles, being dissuaded from this only by talks with US and Soviet leaders later in the war. Defendants in the dock at the Nuremberg trials. The main target of the prosecution was Hermann Göring (at the left edge on the first row of benches), considered to be the most important surviving official in the Third Reich after Hitler's death. In late 1943, during the Tripartite Dinner Meeting at the Tehran Conference, the Soviet leader, Joseph Stalin, proposed executing 50,000–100,000 German staff officers. US President Franklin D. Roosevelt joked that perhaps 49,000 would do. Churchill, believing them to be serious, denounced the idea of "the cold blooded execution of soldiers who fought for their country" and that he would rather be "taken out in the courtyard and shot" himself than partake in any such action. However, he also stated that war criminals must pay for their crimes and that, in accordance with the Moscow Document which he himself had written, they should be tried at the places where the crimes were committed. Churchill was vigorously opposed to executions "for political purposes." According to the minutes of a meeting between Roosevelt and Stalin at Yalta, on 4 February 1945, at the Livadia Palace, President Roosevelt "said that he had been very much struck by the extent of German destruction in Crimea and therefore he was more bloodthirsty in regard to the Germans than he had been a year ago, and he hoped that Marshal Stalin would again propose a toast to the execution of 50,000 officers of the German Army." Henry Morgenthau Jr., US Secretary of the Treasury, suggested a plan for the total denazification of Germany; this was known as the Morgenthau Plan. The plan advocated the forced de-industrialisation of Germany and the summary execution of so-called "arch-criminals", i.e. the major war criminals. Roosevelt initially supported this plan, and managed to convince Churchill to support it in a less drastic form. Later, details were leaked generating widespread condemnation by the nation's newspapers[clarification needed]. Roosevelt, aware of strong public disapproval, abandoned the plan, but did not adopt an alternative position on the matter. The demise of the Morgenthau Plan created the need for an alternative method of dealing with the Nazi leadership. The plan for the "Trial of European War Criminals" was drafted by Secretary of War Henry L. Stimson and the War Department. Following Roosevelt's death in April 1945, the new president, Harry S. Truman, gave strong approval for a judicial process. After a series of negotiations between Britain, the US, Soviet Union and France, details of the trial were worked out. The trials were to commence on 20 November 1945, in the Bavarian city of Nuremberg. On 20 April 1942, representatives from the nine countries occupied by Germany met in London to draft the "Inter-Allied Resolution on German War Crimes". At the meetings in Tehran (1943), Yalta (1945) and Potsdam (1945), the three major wartime powers, the United Kingdom, United States, and the Soviet Union, agreed on the format of punishment for those responsible for war crimes during World War II. France was also awarded a place on the tribunal. The legal basis for the trial was established by the London Charter, which was agreed upon by the four so-called Great Powers on 8 August 1945,  and which restricted the trial to "punishment of the major war criminals of the European Axis countries"
Some 200 German war crimes defendants were tried at Nuremberg, and 1,600 others were tried under the traditional channels of military justice. The legal basis for the jurisdiction of the court was that defined by the Instrument of Surrender of Germany. Political authority for Germany had been transferred to the Allied Control Council which, having sovereign power over Germany, could choose to punish violations of international law and the laws of war. Because the court was limited to violations of the laws of war, it did not have jurisdiction over crimes that took place before the outbreak of war on 1 September 1939. The Palace of Justice was spacious and largely undamaged (one of the few buildings that had remained largely intact through extensive Allied bombing of Germany), and a large prison was also part of the complex. Nuremberg was considered the ceremonial birthplace of the Nazi Party. It had hosted the Party's annual propaganda rallies and the Reichstag session that passed the Nuremberg Laws. Thus it was considered a fitting place to mark the Party's symbolic demise. Most of the accused had previously been detained at Camp Ashcan, a processing station and interrogation center in Luxembourg, and were moved to Nuremberg for the trial. Assisting Jackson were the lawyers Telford Taylor, William S. Kaplan and Thomas J. Dodd, and Richard Sonnenfeldt, a US Army interpreter. Assisting Shawcross were Major Sir David Maxwell-Fyfe and Sir John Wheeler-Bennett. Mervyn Griffith-Jones, who was later to become famous as the chief prosecutor in the Lady Chatterley's Lover obscenity trial, was also on Shawcross's team. Shawcross also recruited a young barrister, Anthony Marreco, who was the son of a friend of his, to help the British team with the heavy workload. Tom Steyer's father Roy Henry Steyer was also a prosecutor at the Nuremberg Trials. The vast majority of the defense attorneys were German lawyers. These included Georg Fröschmann, Heinz Fritz (Hans Fritzsche), Otto Kranzbühler (Karl Dönitz), Otto Pannenbecker (Wilhelm Frick), Alfred Thoma (Alfred Rosenberg), Kurt Kauffmann (Ernst Kaltenbrunner), Hans Laternser (general staff and high command), Franz Exner (Alfred Jodl), Alfred Seidl (Hans Frank), Otto Stahmer (Hermann Göring), Walter Ballas (Gustav Krupp von Bohlen und Halbach), Hans Flächsner (Albert Speer), Günther von Rohrscheidt (Rudolf Hess), Egon Kubuschok (Franz von Papen), Robert Servatius (Fritz Sauckel), Fritz Sauter (Joachim von Ribbentrop), Walther Funk (Baldur von Schirach), Hanns Marx (Julius Streicher), Otto Nelte (Wilhelm Keitel), and Herbert Kraus/Rudolph Dix (both working for Hjalmar Schacht). The main counsel were supported by a total of 70 assistants, clerks and lawyers. The defense witnesses included several men who took part in the war crimes during World War II, such as Rudolf Höss. The men testifying for the defense hoped to receive more lenient sentences. [clarification needed] All of the men testifying on behalf of the defense were found guilty on several counts. The International Military Tribunal was opened on 19 November 1945 in the Palace of Justice in Nuremberg. The first session was presided over by the Soviet judge, Nikitchenko. The prosecution entered indictments against 24 major war criminals and seven organizations – the leadership of the Nazi party, the Reich Cabinet, the Schutzstaffel (SS), Sicherheitsdienst (SD), the Gestapo, the Sturmabteilung (SA) and the "General Staff and High Command", comprising several categories of senior military officers. [avalon 1] These organizations were to be declared "criminal" if found guilty. Martin Bormann I — G G Death (in absentia) Successor to Hess as Nazi Party Secretary. Sentenced to death in absentia. [avalon 2] Remains found in Berlin in 1972 and eventually dated to 2 May 1945 (per Artur Axmann's account); thought to have been killed trying to flee Berlin in the last few days of the war. Hans Frank I — G G Death Reich Law Leader 1933–45 and Governor-General of the General Government in occupied Poland 1939–45. Expressed repentance. [avalon 4] Hanged 16 October 1946. Wilhelm Frick I G G G Death Hitler's Minister of the Interior 1933–43 and Reich Protector of Bohemia and Moravia 1943–45. Co-authored the Nuremberg Race Laws. [avalon 5] Hanged 16 October 1946. Hans Fritzsche I I I — Acquitted Popular radio commentator; head of the news division of the Nazi Propaganda Ministry. [avalon 6] Released early in 1950. Fritzsche had made himself a career within German radio, because his voice was similar to Goebbels's. Died 27 September 1953.
imprisonment Hitler's Minister of Economics; succeeded Schacht as head of the Reichsbank. Released because of ill health on 16 May 1957. [avalon 7] Died 31 May 1960. Alfred Jodl G G G G Death Wehrmacht Generaloberst, Keitel's subordinate and Chief of the OKW's Operations Division 1938–45. Signed orders for the summary execution of Allied commandos and Soviet commissars [avalon 10] Signed the instruments of surrender on 7 May 1945 in Reims as the representative of Karl Dönitz. Hanged 16 October 1946. Posthumously rehabilitated in 1953, which was later reversed. Ernst Kaltenbrunner I — G G Death Highest-ranking SS leader to be tried at Nuremberg. Chief of RSHA 1943–45, the Nazi organ comprising the intelligence service (SD), Secret State Police (Gestapo) and Criminal Police (Kripo) and having overall command over the Einsatzgruppen. [avalon 11] Hanged 16 October 1946. Wilhelm Keitel G G G G Death Head of Oberkommando der Wehrmacht (OKW) and de facto defence minister 1938–45. Known for his unquestioning loyalty to Hitler. Signed numerous orders calling for soldiers and political prisoners to be executed. Expressed repentance. [avalon 12] Hanged 16 October 1946. Gustav Krupp von Bohlen und Halbach I I I No decision Major industrialist. C.E.O. of Friedrich Krupp AG 1912–45. Medically unfit for trial; he had been partially paralyzed since 1941. Due to an error, Gustav, instead of his son Alfried (who ran Krupp for his father during most of the war), was selected for indictment. The prosecutors attempted to substitute his son in the indictment, but the judges rejected this due to proximity to trial. However, the charges against him remained on record in the event he should recover (he died in February 1950). Alfried was tried in a separate Nuremberg trial (the Krupp Trial) for the use of slave labour, thereby escaping worse charges and possible execution. Robert Ley I I I I No decision Head of DAF, German Labour Front. Committed suicide on 25 October 1945, before the trial began. Indicted but neither acquitted nor found guilty as trial did not proceed. Baron Konstantin von Neurath G G G G 15 years Minister of Foreign Affairs 1932–38, succeeded by Ribbentrop. Later, Reich Protector of Bohemia and Moravia 1939–43. On furlough since 1941, he resigned in 1943 because of a dispute with Hitler. Released (ill health) 6 November 1954[avalon 13] after suffering a heart attack. Died 14 August 1956. Erich Raeder G G G — Life imprisonment Commander In Chief of the Kriegsmarine from 1928 until his retirement in 1943, succeeded by Dönitz. Released (ill health) 26 September 1955. [avalon 15] Died 6 November 1960. Joachim von Ribbentrop G G G G Death Ambassador-Plenipotentiary 1935–36. Ambassador to the United Kingdom 1936–38. Minister of Foreign Affairs 1938–45. [avalon 16] Expressed repentance. Hanged 16 October 1946. Alfred Rosenberg G G G G Death Racial theory ideologist. Later, Minister of the Eastern Occupied Territories 1941–45. [avalon 17] Hanged 16 October 1946. Dr. Hjalmar Schacht I I — — Acquitted Prominent banker and economist. Pre-war president of the Reichsbank 1923–30 & 1933–38 and Economics Minister 1934–37. Admitted to violating the Treaty of Versailles. [avalon 19] Many at Nuremberg alleged that the British had brought about Schacht's acquittal to safeguard German industrialists and financiers; Francis Biddle revealed Geoffrey Lawrence had argued that Schacht, being a "man of character", was nothing like the other "ruffians" on trial. By 1944, he had been imprisoned in a concentration camp by the Nazis, and was outraged to be put on trial as a major war criminal. Arthur Seyss-Inquart I G G G Death Instrumental in the Anschluss and briefly Austrian Chancellor 1938. Deputy to Frank in Poland 1939–40. Later, Reichskommissar of the occupied Netherlands 1940–45. Expressed repentance. [avalon 21] Hanged 16 October 1946. Julius Streicher I — — G Death Gauleiter of Franconia 1922–40, when he was relieved of authority but allowed by Hitler to keep his official title. Publisher of the anti-Semitic weekly newspaper Der Stürmer. [avalon 23] Hanged 16 October 1946. The Rorschach test was administered to the defendants, along with the Thematic Apperception Test and a German adaptation of the Wechsler-Bellevue Intelligence Test. All were above average intelligence, several considerably so. Throughout the trials, specifically between January and July 1946, the defendants and a number of witnesses were interviewed by American psychiatrist Leon Goldensohn. His notes detailing the demeanor and comments of the defendants survive; they were edited into book form and published in 2004. Jean Delay was the psychiatric expert for the French delegation in the trial of Rudolf Hess. 21 November 1945: Judge Robert H. Jackson opens for the prosecution with a speech lasting several hours, leaving an impression on both the court and the public. 26 November 1945: The Hossbach Memorandum (of a conference in which Hitler explained his war plans) is presented. 30 November 1945: Witness Erwin von Lahousen testifies that Keitel and von Ribbentrop gave orders for the murder of Poles, Jews, and Russian prisoners of war. 11 December 1945: The film The Nazi Plan is screened, showing long-term planning and preparations for war by the Nazis. 3 January 1946: Witness Otto Ohlendorf, former head of Einsatzgruppe D, admits to the murder of around 90,000 Jews. 3 January 1946: Witness Dieter Wisliceny describes the organisation of RSHA Department IV-B-4, in charge of the Final Solution. 7 January 1946: Witness and former SS-Obergruppenführer Erich von dem Bach-Zelewski admits to the organized mass murder of Jews and other groups in the Soviet Union. 28 January 1946: Witness Marie-Claude Vaillant-Couturier, member of the French Resistance and concentration camp survivor, testifies on the Holocaust, becoming the first Holocaust survivor to do so. 11–12 February 1946: Witness and former Field Marshal Friedrich Paulus, who had been secretly brought to Nuremberg, testifies on the question of waging a war of aggression. 14 February 1946: The Soviet prosecutors try to blame the Katyn massacre on the Germans. 19 February 1946: The film Cruelties of the German-Fascist Intruders, detailing the atrocities which took place in the extermination camps, is screened. 27 February 1946: Witness Abraham Sutzkever testifies on the murder of almost 80,000 Jews in Vilnius by the Germans occupying the city. 8 March 1946: The first witness for the defense testifies – former General Karl Bodenschatz. 13–22 March 1946: Hermann Göring takes the stand. 15 April 1946: Witness Rudolf Höss, former commandant of Auschwitz, confirms that Kaltenbrunner had never been there, but admits to having carried out mass murder. 21 May 1946: Witness Ernst von Weizsäcker explains the German-Soviet Non-Aggression Pact of 1939, including its secret protocol detailing the division of Eastern Europe between Germany and the Soviet Union. 20 June 1946: Albert Speer takes the stand. He is the only defendant to take personal responsibility for his actions. 29 June 1946: The defense for Martin Bormann testifies. 2 July 1946: Admiral Chester W. Nimitz provides written testimony regarding attacks on merchant vessels without warning, admitting that Germany was not alone in these attacks, as the US did the same. The death sentences were carried out on 16 October 1946 by hanging using the standard drop method instead of long drop. The U.S. Army denied claims that the drop length was too short which caused the condemned to die slowly from strangulation instead of quickly from a broken neck, but evidence remains that some of the condemned men died agonizingly slowly, struggling for 14 to 28 minutes before finally choking to death. The executioner was John C. Woods. The executions took place in the gymnasium of the court building (demolished in 1983). 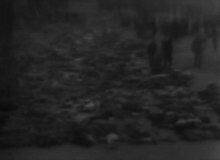 Although the rumor has long persisted that the bodies were taken to Dachau and burned there, they were actually incinerated in a crematorium in Munich, and the ashes scattered over the river Isar. The French judges suggested that the military condemned (Göring, Keitel and Jodl) be shot by a firing squad, as is standard for military courts-martial, but this was opposed by Biddle and the Soviet judges, who argued that the military officers had violated their military ethos and were not worthy of death by being shot, which was considered to be more dignified. [citation needed] The prisoners sentenced to incarceration were transferred to Spandau Prison in 1947. Of the 12 defendants sentenced to death by hanging, two were not hanged: Martin Bormann was convicted in absentia (he had, unknown to the Allies, died while trying to escape from Berlin in May 1945), and Hermann Göring committed suicide the night before the execution. The remaining 10 defendants sentenced to death were hanged. The definition of what constitutes a war crime is described by the Nuremberg principles, a set of guidelines document which was created as a result of the trial. The medical experiments conducted by German doctors and prosecuted in the so-called Doctors' Trial led to the creation of the Nuremberg Code to control future trials involving human subjects, a set of research ethics principles for human experimentation. The American authorities conducted subsequent Nuremberg Trials in their occupied zone. Justice Robert H. Jackson played an important role in not only the trial itself, but also in the creation of the International Military Tribunal, as he led the American delegation to London that, in the summer of 1945, argued in favour of prosecuting the Nazi leadership as a criminal conspiracy. According to Airey Neave, Jackson was also the one behind the prosecution's decision to include membership in any of the six criminal organizations in the indictments at the trial, though the IMT rejected this on the grounds that it was wholly without precedent in either international law or the domestic laws of any of the Allies. Jackson also attempted to have Alfried Krupp be tried in place of his father, Gustav, and even suggested that Alfried volunteer to be tried in his father's place. Both proposals were rejected by the IMT, particularly by Lawrence and Biddle, and some sources indicate that this resulted in Jackson being viewed unfavourably by the latter. Thomas Dodd was a prosecutor for the United States. There was an immense amount of evidence backing the prosecutors' case, especially since meticulous records of the Nazis' actions had been kept. There were records taken in by the prosecutors that had signatures from specific Nazis signing for everything from stationery supplies to Zyklon B gas, which was used to kill the inmates of the deathcamps. Thomas Dodd showed a series of pictures to the courtroom after reading through the documents of crimes committed by the defendants. The showing consisted of pictures displaying the atrocities performed by the defendants. The pictures had been gathered when the inmates were liberated from the concentration camps. Henry F. Gerecke [de], a Lutheran pastor, and Sixtus O'Connor, a Roman Catholic priest, were sent to minister to the Nazi defendants. Photographs of the trial were taken by a team of about a dozen US Army still photographers, under the direction of chief photographer Ray D'Addario. The Tribunal is celebrated for establishing that "[c]rimes against international law are committed by men, not by abstract entities, and only by punishing individuals who commit such crimes can the provisions of international law be enforced." The creation of the IMT was followed by trials of lesser Nazi officials and the trials of Nazi doctors, who performed experiments on people in prison camps. It served as the model for the International Military Tribunal for the Far East which tried Japanese officials for crimes against peace and against humanity. It also served as the model[citation needed] for the Eichmann trial and for present-day courts at The Hague, for trying crimes committed during the Balkan wars of the early 1990s, and at Arusha, for trying the people responsible for the genocide in Rwanda. The Universal Declaration of Human Rights, 1948. The Convention on the Abolition of the Statute of Limitations on War Crimes and Crimes against Humanity, 1968. The Geneva Convention on the Laws and Customs of War, 1949; its supplementary protocols, 1977. The International Law Commission, acting on the request of the United Nations General Assembly, produced in 1950 the report Principles of International Law Recognized in the Charter of the Nürnberg Tribunal and in the Judgement of the Tribunal (Yearbook of the International Law Commission, 1950, vol. II). See Nuremberg Principles. Critics of the Nuremberg trials argued that the charges against the defendants were only defined as "crimes" after they were committed and that therefore the trial was invalid, and thus seen as a form of "victor's justice". Chief Justice of the United States Supreme Court Harlan Fiske Stone called the Nuremberg trials a fraud. "(Chief U.S. prosecutor) Jackson is away conducting his high-grade lynching party in Nuremberg, ... I don't mind what he does to the Nazis, but I hate to see the pretense that he is running a court and proceeding according to common law. This is a little too sanctimonious a fraud to meet my old-fashioned ideas", Stone wrote. Jackson, in a letter discussing the weaknesses of the trial, in October 1945 told U.S. President Harry S. Truman that the Allies themselves "have done or are doing some of the very things we are prosecuting the Germans for. The French are so violating the Geneva Convention in the treatment of prisoners of war that our command is taking back prisoners sent to them. We are prosecuting plunder and our Allies are practising it. We say aggressive war is a crime and one of our allies asserts sovereignty over the Baltic States based on no title except conquest." Associate Supreme Court Justice William O. Douglas charged that the Allies were guilty of "substituting power for principle" at Nuremberg. "I thought at the time and still think that the Nuremberg trials were unprincipled," he wrote. "Law was created ex post facto to suit the passion and clamor of the time." U.S. Deputy Chief Counsel Abraham Pomerantz resigned in protest at the low caliber of the judges assigned to try the industrial war criminals such as those at I.G. Farben. Robert A. Taft, a US Senate Majority Leader from Ohio and son of William Howard Taft, criticized the Nuremberg Trials for trying Nazi war criminals under ex post facto laws which resulted in his failure to secure the Republican nomination for President in 1948. The Tribunal shall not require proof of facts of common knowledge but shall take judicial notice thereof. It shall also take judicial notice of official governmental documents and reports of the United [Allied] Nations, including acts and documents of the committees set up in the various allied countries for the investigation of war crimes, and the records and findings of military and other Tribunals of any of the United [Allied] Nations. One of the charges, brought against Keitel, Jodl, and Ribbentrop, included conspiracy to commit aggression against Poland in 1939. The Secret Protocols of the German-Soviet Non-Aggression Pact of 23 August 1939, proposed the partition of Poland between the Germans and the Soviets (which was subsequently executed in September 1939); however, Soviet leaders were not tried for being part of the same conspiracy.. Moreover, Allied Powers Britain and Soviet Union were not tried for preparing and conducting the Anglo-Soviet invasion of Iran (1941) and the Winter War (1939–1940), respectively. Though the ICTY later held it to be "flawed in principle", the tu quoque argument, adduced by German defendants, was admitted as a valid defense during the trials, and the admirals Dönitz and Raeder were not punished for waging unrestricted submarine warfare. Luise, the wife of Alfred Jodl, attached herself to her husband's defense team. Subsequently, interviewed by Gitta Sereny, researching her biography of Albert Speer, Luise alleged that in many instances the Allied prosecution made charges against Jodl based on documents that they refused to share with the defense. Jodl nevertheless proved some of the charges made against him were untrue, such as the charge that he helped Hitler gain control of Germany in 1933. He was in one instance aided by a GI clerk who chose to give Luise a document showing that the execution of a group of British commandos in Norway had been legitimate. The GI warned Luise that if she did not copy it immediately she would never see it again. The main Soviet judge, Iona Nikitchenko, presided over some of the most notorious of Joseph Stalin's show trials during the Great Purges of 1936 to 1938, where he, among other things, sentenced Kamenev and Zinoviev. According to the declassified Soviet archives, 681,692 people arrested for "counter-revolutionary and state crimes" were shot in 1937 and 1938 alone–an average of over 900 executions a day. The Soviet prosecutor, Roman Rudenko, later became commandant of NKVD special camp Nr. 7. By the time the camp closed in the spring of 1950, at least 12,000 prisoners had died due to the catastrophic prison conditions, hunger and psychological or physical exhaustion. The Tribunal itself strongly disputed that the London Charter was ex post facto law, pointing to existing international agreements signed by Germany that made aggressive war and certain wartime actions unlawful, such as the Kellogg-Briand Pact, the Covenant of the League of Nations, and the Hague Conventions of 1899 and 1907. [avalon 25] In an editorial at the time The Economist, a British weekly newspaper, criticised the hypocrisy of both Britain and France for supporting the expulsion of the Soviet Union from the League of Nations over its unprovoked attack against Finland in 1939 and for six years later cooperating with the USSR as a respected equal at Nuremberg. It also criticised the allies for their own double standard at the Nuremberg Trials: "nor should the Western world console itself that the Russians alone stand condemned at the bar of the Allies' own justice. ... Among crimes against humanity stands the offence of the indiscriminate bombing of civilian populations. Can the Americans who dropped the atom bomb and the British who destroyed the cities of western Germany plead 'not guilty' on this count? Crimes against humanity also include the mass expulsion of populations. Can the Anglo-Saxon leaders who at Potsdam condoned the expulsion of millions of Germans from their homes hold themselves completely innocent? ... The nations sitting in judgement have so clearly proclaimed themselves exempt from the law which they have administered." One criticism that was made of the IMT was that some treaties were not binding on the Axis powers because they were not signatories. This was addressed in the judgment relating to war crimes and crimes against humanity,[avalon 26] which contains an expansion of customary law: "the [Hague] Convention expressly stated that it was an attempt 'to revise the general laws and customs of war,' which it thus recognised to be then existing, but by 1939 these rules laid down in the Convention were recognised by all civilised nations, and were regarded as being declaratory of the laws and customs of war which are referred to in Article 6 (b) of the [London] Charter." The Nuremberg Trials employed four official languages: English, French, German and Russian. In order to address the complex linguistic issues that clouded over the proceedings, interpretation and translation departments had to be established. However, it was feared that consecutive interpretation would slow down the proceedings significantly. What is therefore unique in both the Nuremberg tribunals and history of the interpretation profession was the introduction of an entirely new technique, extempore simultaneous interpretation. This technique of interpretation requires the interpreter to listen to a speaker in a source (or passive) language and orally translate that speech into another language in real time, that is, simultaneously, through headsets and microphones. Interpreters were split into four sections, one for each official language, with three interpreters per section working from the other three languages into the fourth (their mother tongue). For instance, the English booth consisted of three interpreters, one working from German into English, one working from French, and one from Russian, etc. Defendants who did not speak any of the four official languages were provided with consecutive court interpreters. Some of the languages heard over the course of the proceedings included Yiddish, Hungarian, Czech, Ukrainian, and Polish. Interpreters were recruited and examined by the respective countries in which the official languages were spoken: the United States, United Kingdom, France, the Soviet Union, Germany, Switzerland, and Austria, as well as in special cases Belgium and the Netherlands. Many were former translators, army personnel, and linguists, some were experienced consecutive interpreters, others were ordinary individuals and even recent secondary school-graduates who led international lives in multilingual environments. It was, and still is believed[citation needed], that the qualities that made the best interpreters were not just a perfect understanding of two or more languages, but more importantly a broad sense of culture, encyclopedic knowledge, inquisitiveness, as well as a naturally calm disposition. With the simultaneous technique being extremely new, interpreters practically trained themselves, but many could not handle the pressure or the psychological strain. Many often had to be replaced, many returned to the translation department, and many left. Serious doubts were given as to whether interpretation provided a fair trial for the defendants, particularly because of fears of mistranslation and errors made on transcripts. The translation department had to also deal with the overwhelming problem of being understaffed and overburdened with an influx of documents that could not be kept up with. More often than not, interpreters were stuck in a session without having proper documents in front of them and were relied upon to do sight translation or double translation of texts, causing further problems and extensive criticism. Other problems that arose included complaints from lawyers and other legal professionals with regard to questioning and cross-examination. Legal professionals were most often appalled at the slower speed at which they had to conduct their task because of the extended time required for interpreters to render an interpretation properly. Also, a number of interpreters protested the idea of using vulgar language, especially if it referred to Jews or the conditions of the Nazi concentration camps. Bilingual/trilingual members who attended the trials picked up quickly on this aspect of character and were equally quick to file complaints. Yet, despite the extensive trial and error, without the interpretation system the trials would not have been possible and in turn revolutionized the way multilingual issues were addressed in tribunals and conferences. A number of the interpreters following the trials were immediately recruited into the newly formed United Nations, while others returned to their ordinary lives, pursued other careers, or worked freelance. Outside the boundaries of the trials, many interpreters continued their positions on weekends interpreting for dinners, private meetings between judges, and excursions between delegates. Others worked as investigators or editors, or aided the translation department when they could, often using it as an opportunity to sharpen their skills and to correct poor interpretations on transcripts before they were available for public record. For further reference, a book titled The Origins of Simultaneous Interpretation: The Nuremberg Trial, written by interpreter Francesca Gaiba, was published by the University of Ottawa Press in 1998. Today, all major international organizations, as well as any conference or government that uses more than one official language, uses extempore simultaneous interpretation. Notable bodies include the Parliament of Kosovo with three official languages, the Parliament of Canada with two official languages, the Parliament of South Africa with eleven official languages, the European Union with twenty-four official languages, and the United Nations with six official working languages. ^ Marrus 1997, p. 563. ^ Harris 2006, p. 106. ^ Editors, History com. "Himmler commits suicide". HISTORY. Retrieved 2019-01-13. ^ Cooper 2011, p. 38. "On October 6, in Berlin, the Chief Prosecutors signed the momentous Indictment setting forth the charges ... against Hermann Göring and his associates and the six organizations, named as criminal, to which they belonged." ^ "The trial of German major war criminals : proceedings of the International Military Tribunal sitting at Nuremberg Germany". avalon.law.yale.edu. Retrieved 2019-02-21. ^ Lawrence 1947, pp. 152–3. This speech by Lawrence is reprinted in Mettraux 2008, pp. 290–9. ^ Kochavi 1998, pp. 7–8. ^ Heller 2011, page 9. According to Marrus 1997, page 563, Roosevelt had already written to Rabbi Stephen Wise, president of the American Jewish Congress, in July 1942, saying: "The American people not only sympathise with all victims of Nazi crimes, but will hold the perpetrators of these crimes to strict accountability in a day of reckoning which will surely come." ^ Wright 1946, p. 74. ^ "Shooting top Nazis? The Nuremberg option wasn't apple pie either". The Guardian. 26 October 2012. Archived from the original on 2013-09-11. Retrieved 21 April 2013. ^ Senarclens 1988, pp. pp. 19–20. ^ Crossland, John (1 January 2006). "Churchill: execute Hitler without trial". The Sunday Times. Archived from the original on 11 March 2007. Retrieved 23 November 2011. ^ United States Department of State Archived 2011-04-30 at the Wayback Machine Foreign relations of the United States. Conferences at Malta and Yalta, 1945. p. 571. ^ "The original memorandum from 1944, signed by Morgenthau". Fdrlibrary.marist.edu. 2004-05-27. Archived from the original on 2009-04-29. Retrieved 2013-01-04. ^ "The original Morgenthau memorandum from 1944". Fdrlibrary.marist.edu. 2004-05-27. Archived from the original on 2009-04-29. Retrieved 2013-01-04. ^ Lawrence 1947, p. 151. ^ a b c Overy 2001, pp. 19–20. ^ Minutes of 2nd meeting of BWCE and the Representatives of the USA. Kew, London: Lord Chancellor's Office, Public Record Office. 21 June 1945. ^ a b Rough Notes Meeting with Russians. Kew, London: Lord Chancellor's Office, Public Record Office. 29 June 1945. ^ Overy 2001, p. 15. ^ Severo, Richard (1998-05-24). "Telford Taylor, Who Prosecuted Top Nazis At the Nuremberg War Trials, Is Dead at 90". The New York Times. ISSN 0362-4331. Archived from the original on 2017-02-16. Retrieved 2017-02-15. ^ "Lawyer William S. Kaplan, 76, prosecutor at Nuremberg trials". 25 March 1986. Archived from the original on 2015-09-24. Retrieved 2015-01-07. ^ Davidson 1997, p. 30–1. ^ Evans 2008, p. 509, 724. ^ ;"God protect Germany. God have mercy on my soul. My final wish is that Germany should recover her unity and that, for the sake of peace, there should be understanding between East and West. I wish peace to the world. Last and Near-Last Words of the Famous, Infamous and Those In-Between By Joseph W. Lewis Jr. M.D., and after saying this he whispered to the chaplain, "I'll see you again"Andrus, Burton C., I Was the Nuremberg Jailor, New York: Coward-McCann, 1969, p. 195. ^ Bower 1995, p. 347. ^ Brunner 2001, p. 234. ^ Gilbert 1995, pp. 30–1. Gilbert does not provide Ley's IQ, presumably because Ley committed suicide before the tests were done, though Gilbert is not explicit on this point. Sereny 1995, p. 573, records that Speer regarded the tests as "idiotic", and so responded to them, and to the Rorschach test in particular, with "total nonsense". Coincidentally, Brunner 2001, p. 234, argues that, given the circumstances in which they were carried out, the Rorschach tests were "almost useless by present standards; one might also mention a number of other invalidating factors, such as the dated technique by which the records were generated and the use of interpreters in some of the Rorschach interviews. Moreover, in some cases no verbatim notes were taken, whereas other protocols were recorded by a psychologist who seems to have had no previous experience with the Rorschach." ^  Archived 2012-12-06 at the Wayback Machine. Nuremberg Defendants at ukmc. Retrieved 21 November 2012. ^ "Nuremberg Trial Proceedings Vol. 1: Report of Commission to Examine Defendant Hess". Lillian Goldman Law Library, Yale Law School. Archived from the original on 2016-08-20. Retrieved 11 September 2016. ^ "Germany – The Nuremberg Trials Archived 2016-04-06 at the Wayback Machine". Library of Congress Country Studies. ^ Shnayerson, Robert (October 1996). "Judgment at Nuremberg" (PDF). Smithsonian Magazine. pp. 124–141. Archived from the original (PDF) on 30 April 2011. The trial removed 11 of the most despicable Nazis from life itself. In the early morning hours of Wednesday, October 16, 1946, ten men died in the courthouse gymnasium in a botched hanging that left some strangled to death for as long as 25 minutes. ^ "The Trial of the Century– and of All Time, part two". Flagpole Magazine. 17 July 2002. p. 6. Archived from the original on 2 March 2009. the experienced Army hangman, Master Sgt. John C. Woods, botched the execution. A number of the hanged Nazis died, not quickly from a broken neck as intended, but agonizingly from slow strangulation. Ribbentrop and Sauckel each took 14 minutes to choke to death, while Keitel, whose death was the most painful, struggled for 28 minutes at the end of the rope before expiring. ^ Persico 2000, p. 111. ^ a b c Persico 2000, p. 62. ^ a b Smith 1977, p. 33. ^ Smith 1977, p. 34. ^ Persico 2000, p. 396. ^ Neave 1978, p. 24. ^ Neave 1978, pp. 339–40. ^ a b Neave 1978, p. 297. ^ Service, Kimberly Winston Religion News (24 August 2014). "The Strange Story Of The American Pastor Who Ministered To Nazis". Archived from the original on 2015-04-02. Retrieved 2015-04-01. ^ Hevesi, Dennis (February 16, 2011). "Raymond D'Addario, Photographer of Nazis, Dies at 90". The New York Times. Archived from the original on March 4, 2019. "Nuremberg: The Chief Photographer's Story". Jackson Symposium, SUNY Fredonia. 2005. Archived from the original on July 9, 2006. ^ Heller 2011, p. 3. ^ "Yearbook of the International Law Commission, 1950". legal.un.org. Archived from the original on 2014-10-16. Retrieved 2013-10-21. ^ "Visitor Information – Memorium Nuremberg Trials". Archived from the original on 2015-11-27. Retrieved 2015-11-30. ^ Fichtelberg 2009, p. 5. ^ Gilbert 1995, p. 36. ^ See Paper of Jonathan Graubart, San Diego State University, Political Science Department, published online Graubart Article Archived 2011-04-30 at the Wayback Machine, referring to the ex post facto nature of the charges. ^ Wright 1948, pp. 405–7. ^ a b Mason 1968, p. 716. ^ Luban 1994, pp. 360–361. ^ "The Legacy of Nuremberg". PBS Online/WGBH. 1 March 2006. Archived from the original on 2011-09-29. Retrieved 23 November 2011. ^ Kennedy, John Fitzgerald; Sorensen, Ted (1955). Profiles in Courage. Harper & Brothers. ISBN 978-0-06-095544-1. ^ "German Defense Team Clobbers Soviet Claims". Nizkor.org. 1995-08-26. Archived from the original on 2009-03-09. Retrieved 2009-04-04. ^ "The Nuremberg Judgments". Fredautley.com. Archived from the original on 2013-01-20. Retrieved 2013-01-04. ^ Davidson 1999, p. 85. US military personnel and their wives were under strict orders to destroy or otherwise render inedible their own leftover surplus so as to ensure it could not be eaten by German civilians. ^ Sereny 1995, p. 578. ^ "The Soviet special camp No.7 / No. 1 1945 – 1950". Archived from the original on 2015-09-24. Retrieved 2015-02-22. ^ Francesca., Gaiba, (1998). The origins of simultaneous interpretation : the Nuremberg Trial. Ottawa [Ont. ]: Ottawa University Press. pp. 40–50. ISBN 0776604570. OCLC 144080321. These citations refer to documents at "The International Military Tribunal for Germany". The Avalon Project: Documents in Law, History, and Diplomacy. Yale Law School Lillian Goldman Law Library. ^ "Nuremberg Trial Proceedings Indictment: Appendix B". Archived from the original on 2011-08-11. Retrieved 2010-12-03. ^ "Bormann judgement". Archived from the original on 2011-08-11. Retrieved 2009-12-16. ^ a b "Dönitz judgement". Archived from the original on 2011-08-10. Retrieved 2009-12-16. ^ "Frank judgement". Archived from the original on 2011-05-20. Retrieved 2009-12-16. ^ "Frick judgement". Archived from the original on 2011-08-11. Retrieved 2009-12-16. ^ "Fritzsche judgement". Archived from the original on 2011-08-11. Retrieved 2009-12-16. ^ "Funk judgement". Archived from the original on 2011-08-11. Retrieved 2009-12-16. ^ "Goering judgement". Archived from the original on 2011-08-11. Retrieved 2009-12-16. ^ "Hess judgement". Archived from the original on 2015-11-25. Retrieved 2009-12-16. ^ "Jodl judgement". Archived from the original on 2011-08-11. Retrieved 2009-12-16. ^ "Kaltenbrunner judgement". Archived from the original on 2011-08-11. Retrieved 2009-12-16. ^ "Keitel judgement". Archived from the original on 2011-08-11. Retrieved 2009-12-16. ^ "Von Neurath judgement". Archived from the original on 2011-08-10. Retrieved 2009-12-16. ^ "Von Papen judgement". Archived from the original on 2011-08-11. Retrieved 2009-12-16. ^ "Raeder judgement". Archived from the original on 2011-08-11. Retrieved 2009-12-16. ^ "Von Ribbentrop judgement". Archived from the original on 2011-08-11. Retrieved 2009-12-16. ^ "Rosenberg judgement". Archived from the original on 2009-02-02. Retrieved 2009-12-16. ^ "Sauckel judgement". Archived from the original on 2011-08-11. Retrieved 2009-12-16. ^ "Schacht judgement". Archived from the original on 2009-02-02. Retrieved 2009-12-16. ^ "Von Schirach judgement". Archived from the original on 2016-08-20. Retrieved 2009-01-12. ^ "Seyss-Inquart judgement". Archived from the original on 2009-02-02. Retrieved 2009-01-12. ^ "Speer judgement". Archived from the original on 2009-01-25. Retrieved 2009-01-12. ^ "Streicher judgement". Archived from the original on 2009-02-03. Retrieved 2009-01-12. ^ "Motion adopted by all defense counsel". The Avalon Project: Nuremberg Trial Proceedings volume 1. Lillian Goldman Law Library. 19 November 1945. Archived from the original on 2011-12-01. Retrieved 23 November 2011. ^ "International Military Tribunal, Judgment of the International Military Tribunal (1946)". Archived from the original on 7 January 2015. ^ "The trial of German major war criminals : proceedings of the International Military Tribunal sitting at Nuremberg, Germany". Archived from the original on 2014-08-17. Retrieved 2016-10-06. Biddiss, Michael (1995). "Victors' Justice? The Nuremberg Tribunal" (PDF). History Today. 45 (5). Bower, Tom (1995) . Blind Eye to Murder: Britain, America and the Purging of Nazi Germany—A Pledge Betrayed (2nd revised ed.). London Little, Brown. ISBN 978-0-316-87668-1.
Cooper, Robert W. (2011) . The Nuremberg Trial. London: Faber & Faber. ISBN 978-0-571-27273-0. Davidson, Eugene (1997) . The Trial of the Germans: An Account of the Twenty-Two Defendants Before the International Military Tribunal at Nuremberg. Columbia, MO: University of Missouri Press. ISBN 978-0-8262-1139-2. Evans, Richard J. (2008). The Third Reich at War. London: Allen Lane. ISBN 978-0-7139-9742-2. Gilbert, Gustave M. (1995) . Nuremberg Diary. Cambridge, MA: Da Capo Press. ISBN 978-0-306-80661-2. Harris, Whitney R. (2006). "Tyranny on Trial—Trial of Major German War Criminals at Nuremberg, 1945–1946". In Herbert R. Reginbogin; Christoph J. M. Safferling. The Nuremberg Trials: International Criminal Law Since 1945 / Die Nürnberger Prozesse: Völkerstrafrecht seit 1945. Berlin: Walter de Gruyter. pp. 106–114. ISBN 978-3-11-094484-6. Heller, Kevin Jon (2011). The Nuremberg Military Tribunals and the Origins of International Criminal Law. Oxford: Oxford University Press. ISBN 978-0-19-923233-8. Kochavi, Arieh J. (1998). Prelude to Nuremberg: Allied War Crimes Policy and the Question of Punishment. Chapel Hill, NC: University of North Carolina Press. ISBN 978-0-8078-2433-7. Luban, David (1994). Legal Modernism: Law, Meaning, and Violence. Ann Arbor, MI: University of Michigan Press. ISBN 978-0-472-10380-5. Marrus, Michael R. "Three Roads From Nuremberg", Tablet magazine, Nov. 20, 2015. Mettraux, Guénaël, ed. (2008). Perspectives on the Nuremberg Trial. Oxford: Oxford University Press. ISBN 978-0-19-923233-8. Neave, Airey (1978). Nuremberg: A Personal Record of the Trial of the Major Nazi War Criminals. Grafton Books. Overy, Richard (2001). Interrogations: The Nazi Elite in Allied Hands. London: Allen Lane. ISBN 978-0-7139-9350-9. Owen, James (2006). Nuremberg: Evil on Trial. London: Headline. ISBN 9780755315444. Parish, Matthew (2011). Mirages of International Justice: The Elusive Pursuit of a Transnational Legal Order. Edward Elgar Publishing. ISBN 9780857931184. Persico, Joseph E. (2000) . Nuremberg: Infamy on Trial. London: Penguin Books. ISBN 978-0-14-029815-4. Senarclens, Pierre de (1988). Yalta. New Brunswick, NJ: Transaction Publishers. ISBN 978-0-88738-152-2. Smith, Bradley F. (1977). Reaching Judgment at Nuremberg. Basic Books. Zolo, Danilo (2009). Victors' Justice: From Nuremberg to Baghdad. New York & London: Verso Books. ISBN 978-1-84467-317-9. Priemel, Kim C.; Stiller, Alexa, eds. (2012). Reassessing the Nuremberg Military Tribunals: Transitional Justice, Trial Narratives, and Historiography. Berghahn Books. ISBN 978-0-85745-532-1. Wikimedia Commons has media related to Nuremberg Trials. The Nuremberg Judgments, Chapter 6 from The High Cost of Vengeance, by Freda Utley, Henry Regnery Company, Chicago, (1948). Made available by "The Freda Utley Foundation"
"Nuremberg Trial Collection" The Northwestern University Special Collections archival collection amassed by Charles J. Gallagher, a court reporter at the trials.